Barefoot Surf School's 1 to 1 (1 Participant to 1 Instructor) or 2 to 1 surf lessons will help you progress faster, refine your technique and master new moves, whether you already surf, and want to take your surfing to the next level, or are a complete beginner. 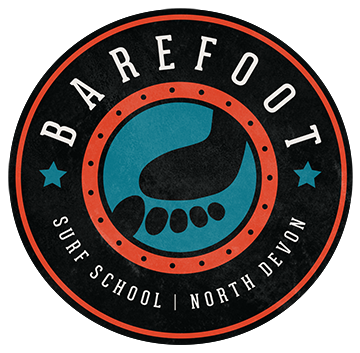 With over 20 years of coaching experience, Barefoot Surf School can help you move to the next stage! We are continually being told by customers that what makes us different is our enthusiasm and patience. The truth is, we love what we do - the buzz (or ‘stoke’ in surfer speak!) when someone stands and rides a wave in for the first time is contagious, and even after 21 years of coaching, we still get as much pleasure sharing it with you. The experience of a Private 1:1 or 2:1 lesson allows us to focus entirely on your surfing and progression. We're able to provide you with more personal advice and direct feedback than a larger group lesson, which in turn helps you improve wave upon wave.